Are You Blindly Trusting Plans Generated by MS SQL Server? Searching Just One Record Taking Several Seconds? When one (MS SQL Server) Stored Procedure (SP), say, A calls another SP, say, B inside it; we call the SPs are nested. It is not always the case that A calls B. B can be called directly as well. Now if they are required to execute within transaction, in both the cases – when executed individually or nested, we face some interesting situations. Here we discuss how to manage transactions for those cases, when scope is limited within a database. We usually face two kinds of requirements. Full Commit: either all in both parent (A) and child (B) have to be executed or all should fail. Partial Commit: if one or more calls to child fail, let them fail. But persist/commit the changes done by parent and the successful calls to child. Nesting does not need to be limited within two levels (parent and child) as stated here. For example, B can further call another SP C, or A can call any of B or C and so on. The requirements can vary in some other ways as well. However, if we solve the above two cases, the same mechanism/logic can be used/extended to handle all other situations. Note that, we are also considering the situation that the child, B can be directly called, and in that situation, we are making sure that it is executing within its own transaction. The way we have written the SPs A and B as shown below, A is calling B 6 times. However B fails on the last call. A is inserting data into a table called OuterTable and B is doing the same for InnerTable. In all or nothing case, we want to make sure, when we execute A, if any call to B fails, no data should be inserted in any of the tables; all should fail. It is obvious that if all the calls pass, then all data changed by them should persist. It is also required that if B is executed directly, everything happening inside it must happen within a transaction. When A gets called it starts a transaction. It then calls B, that succeeds 5 times, and subsequently fails on the last one. When B starts, it begins a transaction, unconditionally. Each time A calls B, @@TRANCOUNT gets incremented by 1 and reaches 2. Each time B succeeds, it executes a commit, thus reducing @@TRANCOUNT Back to 1, corresponding to the transaction started by A. However, the last call to B fails. It then throws an exception, that gets the execution flow jump into the catch block, where it checks @@TRANCOUNT, that is now 2. It then rollbacks the transaction. A rollback discards all transactions in the nested call and resets @@TRANCOUNT. Before commit or rollback, it is a safe practice to make sure that it is still under a transaction, by checking @@TRANCOUNT value that should be greater than 0. At this situation, B returns 0 to indicate failure (usual practice is to use 0 for indicating success though). A gets to know that B has failed. A throws exception, and ends up in catch block, where it checks @@TRANCOUNT, that is already 0. No further rollback is called and at the end 0 is returned from A to mean that it has failed. Everything that A and B have done so far are all rolled back. After all, no matter how many transactions are started, a single rollback can discard all. At the end, no data changes happen to either of the tables, where they inserted data. If B executes directly, depending on the parameter, data would persist or it would fail. However, all inside it would happen within a transaction. In this case, we want to persist the changes made by 5 successful calls to B, along with what A has done. The only thing that should get discarded is the failed 6th call to B. B starts a transaction, only if it is already not inside one. Meaning, if it is directly called then it starts a transaction of its own. However, if it is called by A, it does not do so. In that case, it creates a savepoint. A savepoint name is created in a way so that for each instance of the SP’s execution, it remains unique. A savepoint is a point where it can come back by executing a partial rollback. In such a situation, all changes between the savepoint and the place where partial rollback is called get discarded. That is precisely what happens, when B fails and an exception is thrown. In catch block, it checks whether it started the transaction on its own. If that is the case, it simply calls a (full) rollback. However, if it was called by A, that also means it created a savepoint; it would simply execute a partial rollback using the savepoint. A partial rollback only discards the changes done by B itself. However, prior to executing the partial rollback it should check whether it is safe to do so. If XACT_STATE() returns -1, that means something went wrong, something that should happen rarely. In this situation, a partial rollback is no longer possible – only a full rollback can be done. Special failure code 2 is returned by B to indicate such a colossal failure. A remains mostly the same. The only thing that gets changed is when it knows B has failed. Earlier, it would have thrown an exception. But this time, if the returned failure code is 0, it simply ignores that B has failed. If the returned failure code is 2, it knows that B fails to execute partial rollback – something really bad – A executes a (full) rollback. In the above case, we see that the outer table gets one new row, and the inner table gets 5 new rows; notwithstanding the fact that 6th call to B fails. When B is called directly – not from A – it manages its own transaction; savepoint is never used. Many a times, we use Entity Framework (EF), Microsoft’s recommended data access technology for an application, to execute (MS SQL Server) Stored Procedure (SP), and retrieve the results emitted by them. Here we discuss different kinds of output that a SP can produce and how we can retrieve them using EF. SP can return a single integer return code. Return statement without any value (null) would automatically return 0. It is mostly used to exit execution of a SP when certain condition is met. Using T-SQL we can execute SP like below. SP can return one or more values, each having its own data type. Returns a result set having 0 or more rows of a certain schema. The following SP returns a result set with a single column named, Success. The following SP returns the result set for Employee schema twice. The following SP returns a result set that is not associated with any database entity. The following SP returns two different result sets: one for Company and another for Employee. This executes a given DDL/DML command. This can be executed when no result set needs to be returned. Return code does not require any explicit output parameter to be used in the SP. However, while calling from EF, it should be treated as an output parameter by specifying the direction for the parameter. For each of the output parameters, we need to declare an output parameter in EF matching the appropriate data type. SqlQuery is usually used when SP returns a single result set. However, it can return any data type including primitive types – not necessarily only entity type. If the SP returns multiple result sets, it will only get the first one. However, the complete execution of the entire SP does happen. When multiple result sets to be returned this method can be used. We need to use IObjectContextAdapter interface that makes use explicit interface implementation. When result set is not in DbContext, slight modification is required. When different schema are used we can still use the same, we just need to use the right object while translating. When we have to implement an idempotent operation in web application, where the respective method execution is not idempotent when executed simultaneously, it is essential that we use concurrency control. Here we focus on .NET application deployed in IIS. Suppose user requests to approve a certain transaction, say, transaction Id 100, hence it is data specific. We need to make sure this is an idempotent operation, meaning, no matter how many times the request comes, simultaneously or serially, the end result should be the same. If more than one request comes, from the same user or from multiple users simultaneously, we have seen IIS might launch multiple threads, one for each request. It is possible that they are executed simultaneously. Let’s take a closer look. Suppose the two requests were initiated at 12:00:00:000 PM. The requests ended up in IIS at 12:00:01:000 PM, two threads starts processing them at the same time at 12:00:01:001 PM. Both the threads find that the transaction has not been approved yet, and proceed to do the same thing, like send an email, make some database entries etc. At the end both mark that the transaction is approved. So we see that, what was supposed to be an idempotent operation has ended up sending two emails and so on, clearly failing to be one. If we don’t have any concurrency control in place, nothing is stopping from sending two emails from the two threads. After all, both the threads are executing simultaneously checking, finding and doing the same thing, at the exact same time. Concurrency control is essential here. That means, at the beginning we need to place a gate through which only one thread can enter, at a time. Once it enters, it should mark that it is approving a certain transaction. Then all other threads who would enter the gate later serially (one after another), can detect that somebody else is processing that exact same request and quit gracefully. We will walk through some options, even though they would not qualify to be the desired solution. We would do so just to explain the issues around the options, so that we can rationalize the final solution(s). Let us start with lock, provided by C#. lock can implement critical section, meaning it can make a certain portion of the code executable only by one thread at a time. So the transaction processing method can be wrapped using a lock. That will make sure only one thread of a process is executing the method at any given point of time. First, we are locking the whole method. We wanted to make sure only transaction Id 100 gets approved only by one thread at any point of time. But we end up blocking approval for all other transactions, say, transaction Id 99 or 101, when approval for transaction Id 100 is going on. We can solve this issue by implementing a named lock, meaning the lock will have a name, say, TranApproval_100. That way, only threads executing approval requests for the same transaction will be executed serially. Instead of using lock, we can achieve the same using interned string, named mutex etc. as well. Second, the scope of the lock is within the process. Nobody outside the process knows about it. However, we know that in web garden configuration, there might be more than one process running for the same web application and the two threads can come from two different processes. In that case, the thread in the first process would not know that the thread in the second process is having a lock. Hence both the threads would happily execute the same method simultaneously. We can solve this problem by using named mutex, an inter-process synchronization mechanism. We see that using a named mutex, say, the name of the mutex is TranApproval_100, we can make sure we don’t block approval for other transactions. Meaning only thread approving transaction Id 100 will execute, without blocking approval for, say, transaction Id 99 or 101. We also see that between the two threads running in two processes in web garden configuration, only one would do the approval and other would quit. This is because the named mutex is visible to all processes throughout the operating system. However, we also know that in web farm configuration, the two processes, executing the two threads, both intending to serve the approval processing for transaction Id 100, might be running in two different web servers. In such a case, this inter-process synchronization mechanism that we just explored, would not work. So we see that we have to use something that is both external and common to web servers. If we have one common database that is used by all the processes then we can use something from the database to make sure that the threads are processing the requests one by one. Using the concurrency control support provided by database, we can make sure only one method is doing the database operations, at any point of time. If we are using ORM, say Entity Framework, then we can use the transaction support provided from version 6 onwards (Database.BeginTransaction(), Commit, Rollback etc.). Since we want them execute serially, we know we have to use serializable isolation level System.Data.IsolationLevel.Serializable. We can begin the transaction with this isolation level parameter. There are two problems associated with this. First, we are again serializing the whole transaction approval process, meaning blocking approval for transaction Id 101, while processing the same for transaction Id 100. Second, we cannot stop non-database operations like sending email etc. The first problem can be solved by, as we have seen previously, using a named synchronization mechanism. The second problem can also be solved using the same, but we need to make sure we are using the synchronization mechanism to serialize the whole method, not just the database transaction. We first create the following table that will keep track of the transactions, presently under processing. LockName is the name of the lock, like TranAproval_100. We should not hold the lock forever. If after acquiring the lock things go wrong, for example, the caller somehow misses to unlock it or there is a crash, this resource cannot be locked again by any thread in future. The created date along with the default duration of 1 minute would make sure, after a minute this lock becomes invalid. This is based on the assumption that approval processing would be done within a minute. We create the following stored procedure. This stored procedure can be used for both lock and unlock operation of a named resource. The lock can be acquired for a given interval. In absence of any duration parameter, default duration of 1 minute will be used. We make sure that this stored procedure can be executed serially, thus making sure only one transaction execute, at any point of time. Here we focus on making the lock/unlock function faster, compromising concurrency by using the highest isolation level. We could have used unique constraint on lock name column in the Web.LockInfo table. In that case, we could use the default READ COMMITTED isolation of MS SQL Server, in the stored procedure, increasing concurrency. If a second thread would want to take the lock on the same resource, it would try to insert a row with the same lock name, resulting in failure, due to the unique constraint checking. The two have different performance implications that we explain using an example. Suppose two threads started executing simultaneously. 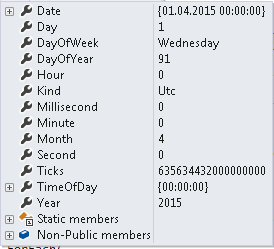 The faster stored procedure takes one millisecond to execute. The first thread takes one millisecond to lock and then 100 milliseconds to execute the main approval processing, taking a total of 101 milliseconds. 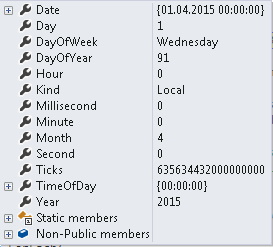 The second stored procedure would wait one millisecond for the first stored procedure to lock. Then it would take one more millisecond to check that it is already locked, and hence it would take a total of 2 milliseconds to quit the processing. On the other hand, suppose the stored procedure using default isolation level and unique constraint takes 3 milliseconds to lock. The first thread would take 103 milliseconds to execute. The second thread that starts at the same time would take 3 milliseconds to fail while acquiring the lock and quit. Based on the load and usage pattern, an appropriate mechanism can be chosen. This mechanism can be used not only for synchronizing transaction approval but all other cases that use named resources. Based on the load, more than one lock table (and/or stored procedure) can be used, each supporting certain modules. We are trying to understand how an HTTP request is processed by .NET web application, hosted in IIS in various scenarios with a focus on synchronization of the processing of that request. To be precise, we are interested in the thread and process contexts involved while serving an HTTP request. Multiple clients across the globe, using their respective browsers, sending HTTP request to the web server. All these http requests are ending up in IIS web server, hosting the application. In web server, HTTP listener, a kernel mode device driver, part of network subsystem, and part of the IIS – kernel mode of IIS to be precise, called http protocol stack (Http.sys), listens for http requests. HTTPS.sys, as a forwarder, might directly pass the request to the right worker process, or as a request queuer, queues it unless a worker process picks it up. Once the response of that request reaches to it, it returns that back to client browser. Also as a kernel level cacher, it does some kernel level caching and if possible, returns the cached output directly, without involving any user level processing. Worker process, w3wp.exe, an executable, a process to OS, runs inside IIS user mode, is little different than other processes in the operating system (OS), in the sense that it can contain multiple application domains. Application domain represented by AppDomain object, a .NET concept, is a virtual process within a process. As said, it runs within a worker process. One application domain does not share its static variables etc. with another application domain running within the same worker process. Usually, all static variables etc. of a process are visible to all within a process. It is not the case for worker process. This is how worker process is a special process, where one or more application domains are running inside it, as if each of them is a separate process, providing isolation. So what usually we are used to thinking as per process, in the world of IIS, inside worker process, it is actually per application domain. Why Application domain, you might ask. Well, a web server can have many applications. Creating one worker process for each of them will end up creating many processes that is quite expensive. Creating an application domain for each of them and putting them together inside a single process is much cheaper. Note that, one of the application domains can be stopped without affecting other application domains inside a worker process. When worker process receives a request, it uses worker thread to process that request. If two users send two requests to the same web application, both of them can be simultaneously executed by two worker threads and served. At any point of time, a worker thread can only be executed within a single application domain. An application domain can have multiple worker threads. But these worker threads are not confined to a single application domain. Rather they belong to worker process. When a thread is done with serving a request for a particular application domain, it is freed. At a later point of time, the same thread can be used to serve another request, belonging to a different application domain. We develop web application. We are interested to know how this ending up running in IIS environment. Application domains are associated with web application. One web application has typically, one application domain running inside a worker process. One worker process might be running many application domains, each supporting a separate web application. Application pool is the container for (web) applications. Every application has to be assigned to a single application pool. A number of web applications can be assigned to a single application pool. But as mentioned earlier, a single application cannot be assigned to multiple application pools. All applications belonging to an application pool share the same configuration. Worker process runs inside the application pool. Application pool can be recycled, restarted. Applications belonging to other application pool are not affected by this. Thus application pool provides isolation. So we see that a number of applications are contained within an application pool. And then a worker process running inside an application pool is again running a number of application domains, each application domain serving a different web application. Thus, we have two different levels of isolation. How many worker processes can be there inside an application pool? Well, it is configurable. By default, it is only one worker process running inside an application pool, supporting multiple web applications, by creating one application domain for each of the applications. And all these application domains are running as separate processes within that single worker process. However, application pool can be configured to run more than one worker processes. In that case, it is called a web garden. In this situation, multiple worker processes can be running in a single application pool. Each of these worker processes, once again running multiple application domains, each belonging to one application. In this scenario, each of the worker processes can have its own application domain for the same application. In other words, for a certain web application, we can have multiple application domains, each running in a separate worker process, all in the same application pool. To be precise, one application or web site can have multiple instances running in a single web server, if web garden is enabled. This is important as it renders uses of static variables, application-wide variables etc. problematic in web application. When one web server is not enough to serve the clients requests, we need more of them to host the same application/web site. We call it web farm. A load balancer would sit in front of the web servers and its IP will be exposed to external world. HTTP requests will come to load balancer first and it will then distribute the load to different web servers. Individual web server can share the same database or replicated/partitioned database. So we see that, multiple https requests for the same web application would be simultaneously served by multiple threads. Those threads can be executed within a single application domain belonging to a single worker process. This happens when only one worker process is set to run for an application pool. In the above image, we see IIS having two parts – system and user mode. HTTP.sys is in kernel mode, forwarding HTTP request to 3rd application pool, belonging to application X. We further see that a single worker process inside that 3rd application pool is running two application domains X and Y. Two threads within application domain X – Thread 1 and Thread 2 are serving the two requests, respectively. The response will go back to client browser through HTTP.sys. Or the threads can come from different application domains associated with the same web application or web site, running inside different worker processes, all contained within the same application pool. This can happen in web garden configuration, where multiple worker processes are allowed to execute within a single application pool. We can understand any locking mechanism that works within a single process would not work in this setup. We would need to implement an inter-process synchronization mechanism, if our application is deployed in web garden. In the above image, showing web garden, two requests are being served by two worker threads, belonging to two application domains (both associated with same web application), each running in a separate worker process, both of them (worker processes) contained within the same application pool. Or the threads can come from different physical web servers. This can happen in a web farm scenario, where multiple web servers sit behind a load balancer. We can understand that an inter-process synchronization mechanism, which works across the processes within an OS, would not work here. Since we have multiple web servers here, each running its own OS, inter-process synchronization mechanism would not work for application-wide synchronization. In the above image, showing web farm, two requests are being served by two worker threads, each running in a separate web server. We are trying to see how isolation level, serializable to be precise, can help us implementing a synchronization mechanism for web application. ACID stands for Atomicity, Consistency, Isolation and Durability. It is detailed in ISO standard. Database systems implement this so that a sequence of operations, called as transaction, can be perceived as a single logical operation. All operations of a transaction are all done or nothing done. Logging with undo capability can be used to achieve this. Given that all database constraints (foreign key, unique etc.) are valid at the beginning, the same should be maintained, at the end of the transaction as well. All changes done by a committed transaction must go to storage even if database system crashes in the middle. Logging with redo capability can be used to achieve this. We talked about logging and then redo/undo in the previous sections. Why Logging? Well, when some transactions changes data, they are not immediately written to disk. Rather those pages are marked as dirty. Lazy writing flushes them to disk later. Instant writing to disk is expensive. Instead, logging the operation that is directly written to disk immediately, is much cheaper. However, performance, while important is not a must. Logging is essential to ensure atomicity and durability. Any modification must be written to log before applying to actual database. This is known as write-ahead logging (WAL) This is to make sure that in case of a crash (say, 2 out 5 operations of a transaction are written to database storage and then it crashes), system can come back, read the log and figure out what was supposed to be done and what was not supposed to be done. By redoing and undoing necessary operations, durability and atomicity is ensured. Today we focus on the I of ACID, called isolation. When we are writing a transaction, we write the operations inside it thinking nobody else is doing anything else to the data that we are dealing with. Isolation property defines such an environment and database systems implements that. So, why do we need such an environment? Well, without this, in a highly concurrent transaction execution environment, our understanding of the data we are working with will not hold true, as other would change them simultaneously. It will happen largely due to three problems: dirty read, non-repeatable read, and phantom read. However, creating such an isolated environment is expensive in terms of performance. Hence, a number of other isolation levels are introduced, giving various degrees of isolation rather than a complete isolation. The ISO standard defines the following Isolation levels that we will describe in terms of two transactions T1 and T2 that executes in parallel. We see that, T2 read dirty (because T1 did not commit the updated salary) data and went ahead with his decisions/operations inside it based on it, that was of course a wrong thing it did. As the name implies Read Uncommitted reads uncommitted data, also called dirty data that is wrong. So we see, this isolation level does not guarantee isolation property and it is an example of a weaker isolation level. Note that along with dirty read, it also has non-repeatable read and phantom read problems. The next better isolation level, as the name Read Committed implies, reads only committed data and solves the dirty read problem encountered previously in Read Uncommitted isolation level. Let us see through an example. Now T1 is running in Read Committed isolation level. So we see T1 reads the salary of Joe twice, and it is different in the two cases. In the second case, it reads the data that was modified and committed by T2. No more dirty read by T1. Good. But the isolation property expects each transaction to happen in complete isolation, meaning it would assume it is the only transaction that is taking place now. Joe’s salary was not updated by T1. Then why should T1 see different data when it reads the second time? So we see, T1 could not repeat a read (the same salary for Joe). Hence, this problem is called non-repeatable read. Read Committed, like Read Uncommitted is another weaker isolation level. Again, note that, along with non-repeatable read it also has the phantom read problem. To solve the non-repeatable read problem, Repeatable Read isolation level comes into picture. Since T1 reads the salary of Joe, no other transaction should be able to modify Joe’s data if we run T1 in Repeatable Read isolation level. If we repeat the previous transactions we did earlier we would see T2 waits for T1 to finish first. Because T1 would use the right locks on the rows it reads so that others cannot delete/modify it. Repeatable read is solving the non-repeatable read problem as the name implies. However, that won’t stop new data insertion. After all, Repeatable Read put necessary locks only on the data that it has read, not on future data. Hence, we will see ghost/phantom data. Let’s see an example. We see that T1 sees a phantom row (the newly inserted row by T2) in its second read of employee table. Repeatable Read, once again, another weaker isolation level. So far, we see different isolation levels providing different degrees of isolation level but not what I of ACID really defines as isolation. We also know that weaker isolation levels are introduced to avoid the performance penalty that occurs for executing transactions in complete isolation. But at times, it becomes an absolute necessity to execute transaction in full isolation. Serializable comes into picture to implement that complete isolation. In serializable isolation level, it is ensured that we get the effect as if all transactions are happened one after another, in the order they started. So if we rerun the earlier two transactions, we would see T2 waiting for T1 to complete first. Hence both the reads of T1 would read 4 rows. Only after T1 is done that T2 would insert a new row. This solves all the three problems: dirty read, non-repeatable read and phantom reads. At this point, it can be mentioned here that ISO standard expects serializable, not serial. The end result of a serializable execution is to produce a result equivalent to executing them one after another. Serializable does not necessarily executing transaction one after another, just that the end result is the same, had they executed serially. With Serializable, we are done with the 4 ISO transaction isolation levels. MS SQL Server implements all of them. In addition, it implements a fifth one, called Snapshot. It is an isolation level that solves all the three problems just like serializable. So, why do we have two isolation levels doing the same thing? What special thing snapshot is doing? If we closely observe the earlier serializable isolation level, implemented using locks, we see that it is too pessimistic. T2 has to wait for T1 to finish. But T2 could be simultaneously executed. After all, T1 is only reading, not modifying any data. Snapshot comes into picture with optimistic concurrency control. It uses multiversion concurrency control (MVCC) to implement this. Every transaction starts with the latest committed copy it sees and keeps on executing the operations inside it. So, for the last example we saw, in snapshot, T1 would read 4 rows in both the reads. After all, it had its own private copy. On the other hand T2 would start with its own copy, add a row in the middle. At the end, it would see there was no conflict. This is because no other transaction, T1 in this case, did anything conflicting. So, two transactions are simultaneously executed without violating the requirements of a serializable solation level. What would happen if both T1 and T2 modify the same data, creating a conflicting situation? Well, both the transaction started with its own copy hoping that at the end there would no conflict, hence it is called optimistic. But if there is a conflict, the one committed first would win. The other would fail and rollback. By the way, even though it is called serializable, write skew, anomaly is still present and it cannot be called serializable in ISO definition. Database needs to be configured, which at times takes a while, to use this isolation. Again, since each transaction uses its own private copy, it is resource intensive. Read Committed is the default isolation level set for MS SQL Server. Keeping performance in mind, it is done this way. So all along if you had thought, by default, you were getting the I of ACID by SQL Server, you are wrong. You are living with non-repeatable read and phantom read unless you have explicitly changed the isolation level or used locks. How to set isolation level in MS SQL Server? As mentioned earlier, to set snapshot isolation level some database specific configuration is required before executing the above command. How long isolation level remains active? Once set, it lasts for the session, the duration of which is largely controlled by the component that creates it. When another session starts, it starts with the default Read Committed. It is obvious yet important to remember, isolation levels works on transaction. After all, it is called transaction isolation level. If we want to isolate (using isolation level) the execution of a set operation as a single logical operation, then they have to be wrapped with Begin and Commit transaction.